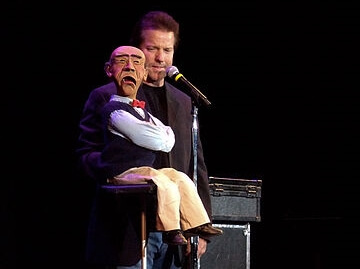 Achmed the Dead Terrorist will be screaming "Silence, I keel you", if you miss out on seeing Jeff Dunham live. Jeff Dunham and his parade of puppets like Walter, Peanut, Bubba J, Little Jeff, and all his other characters are heading out on their new comedy tour. You're not going to want to miss the laughs or Jeff's amazing ventriloquist skills so buy tickets today.